Dr. Debra Mayer Mesnick attended the Ruth and Bruce Rappaport Faculty of Medicine, Technion Israel Institute of Technology, where she obtained her medical degree. She further completed her residency in pediatrics at NewYork-Presbyterian Hospital / Weill Cornell Medical Center. 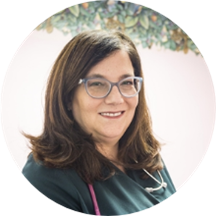 Dr. Mesnick is a caring pediatrician practicing at NYU Langone Medical Associates - Borough Park and is based in Brooklyn, NY. She is certified by the American Board of Pediatrics. Dr. Mesnick’s cheerful nature and a genuinely caring attitude make her patients feel at home. She is a favorite among kids who insist that she does their treatment. She is very proactive and supportive and believes in delivering appropriate care to each patient.